Small (11-12) - $29.99 Medium (13-1) - $29.99 Large (2-3) - $29.99 X-Large (4-5) - $29.99 Only 7 left! We know that you’re kiddo is more than ready to take on a heroic role in the world this Halloween. He knows that if he doesn’t stop the overflow of sweet treats in the streets of his town, no one will. 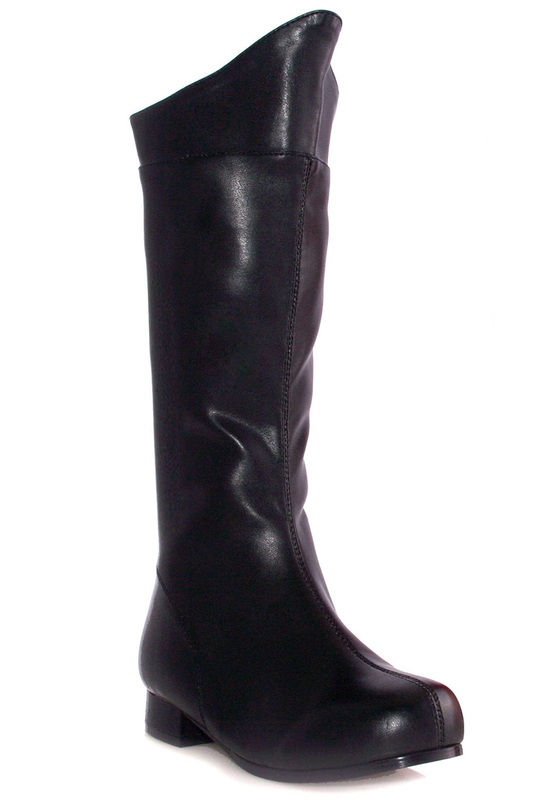 So grab him one of our many superhero costumes and complete his new look with these amazing Black Superhero Boots! Once he slips his feet into these knee-high boots he’ll be ready to run through any obstacle in his way and even leap from building to building if need be! He’ll be ready to do anything to save your city and the world from any threat. Whether it’s a team of super villains or an abundance of Halloween candy, we know that your kiddo will be ready to take care of business with these heroic accessories. Be sure to look at the rest of our superhero gear and give your little one an advantage in his mission to thwart any and all evil!